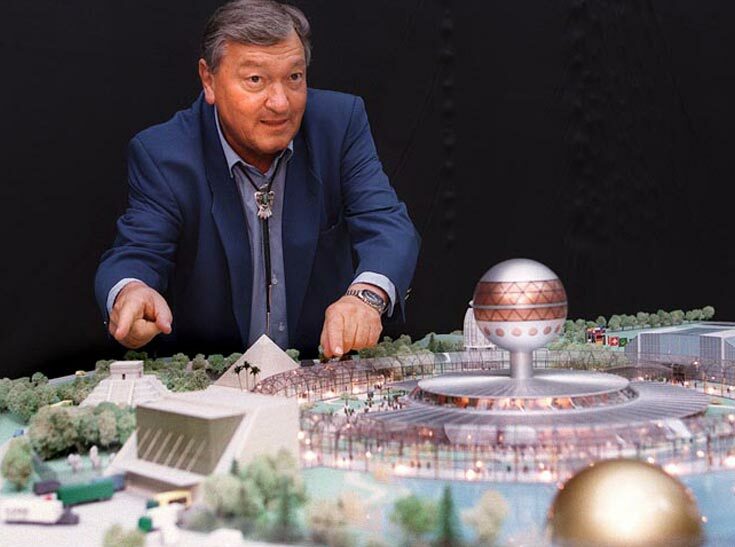 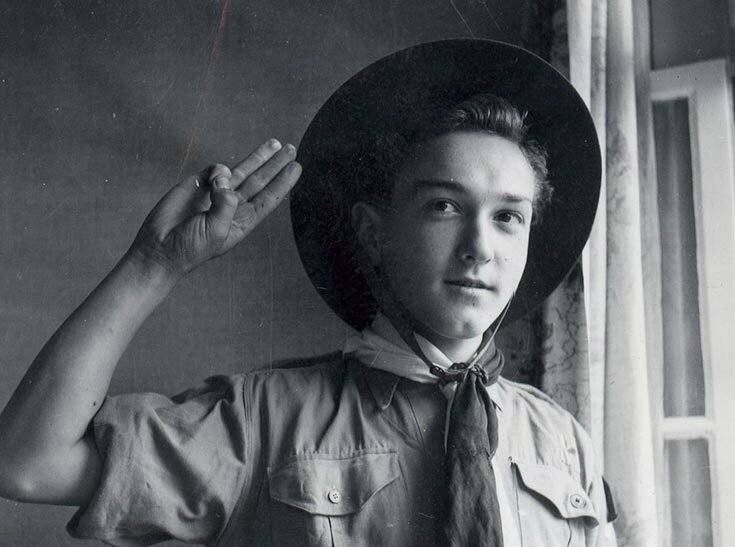 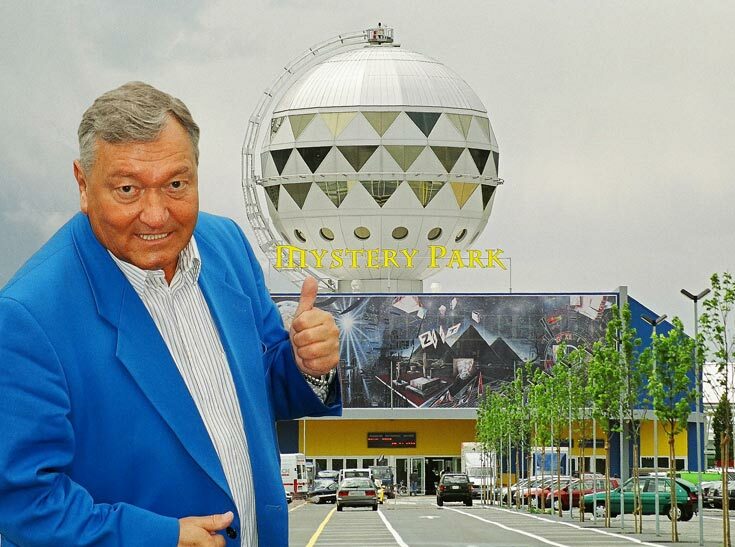 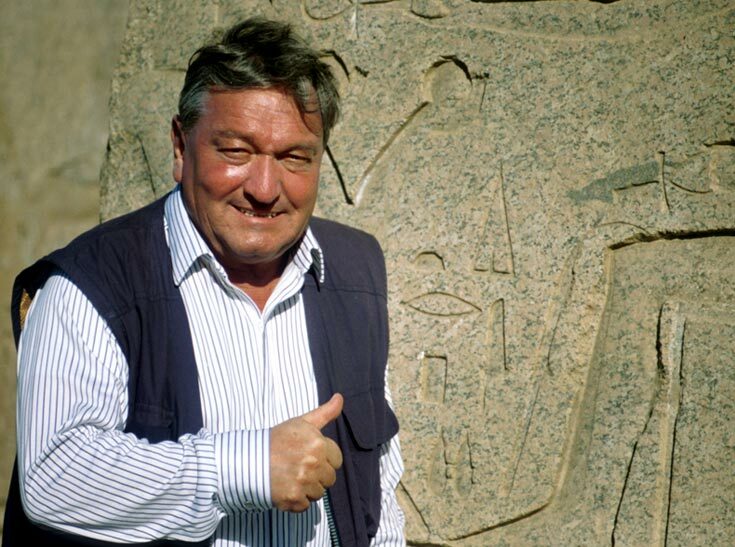 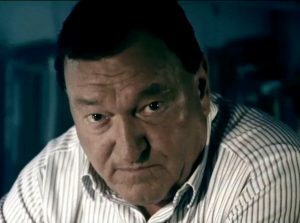 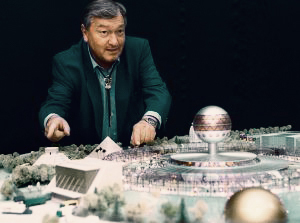 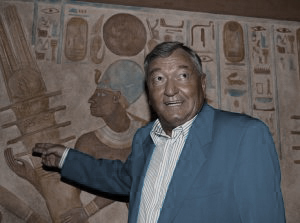 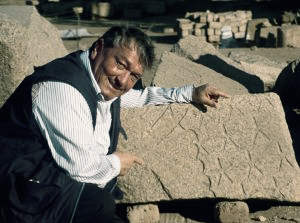 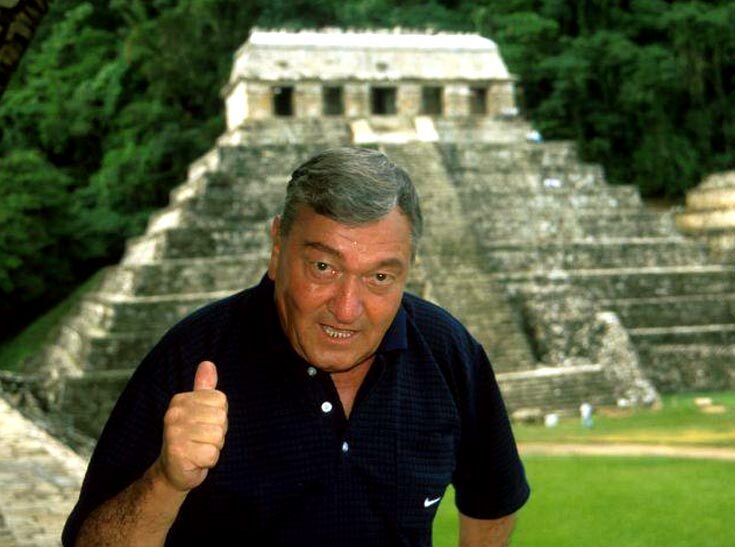 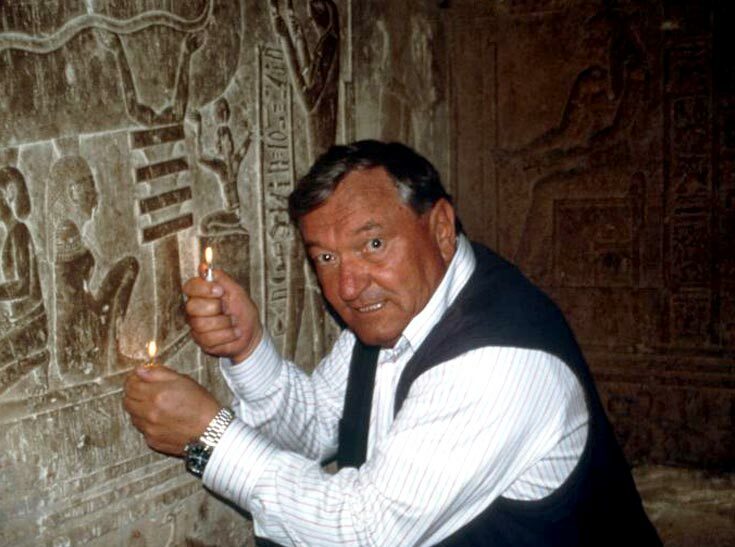 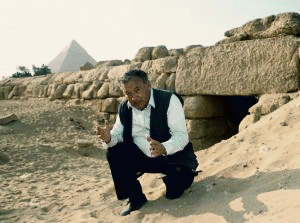 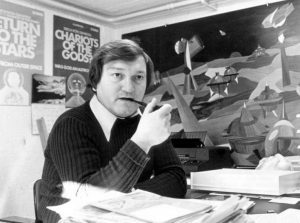 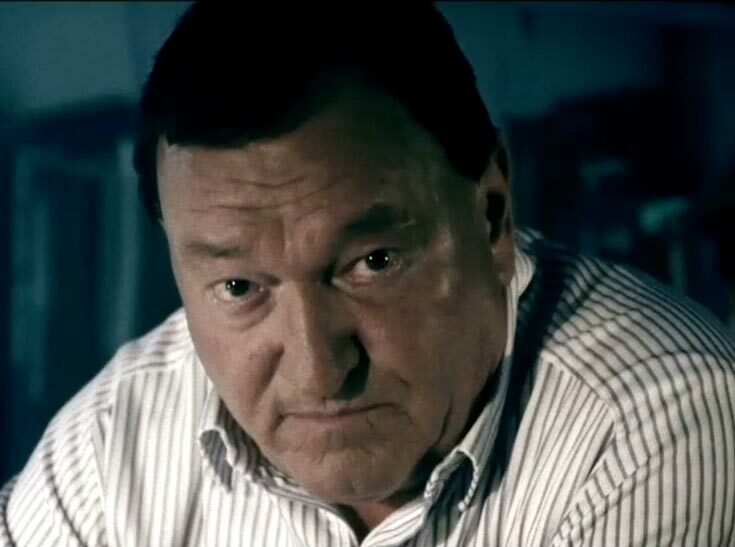 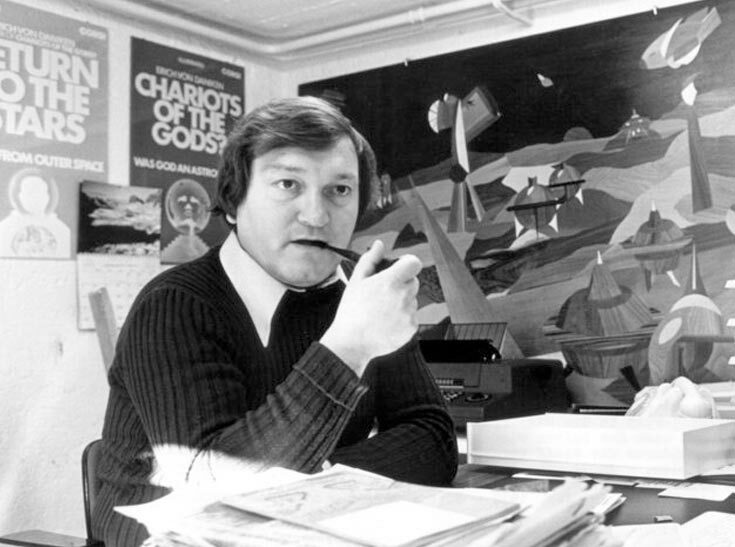 Erich von Däniken was born on 14 April 1935 in Zofin­gen, Switzer­land. 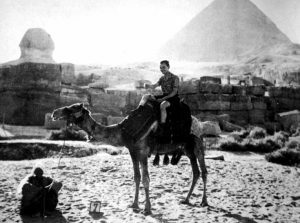 His stud­ies fuelled an unbri­dled inter­est in ancient texts and tra­di­tion, the­ol­o­gy, and archae­ol­o­gy – sub­jects which increas­ing­ly pre­sent­ed him with count­less ques­tions and con­tra­dic­tions. His intel­lec­tu­al intrigue and pas­sion for mod­ern sci­ence ulti­mate­ly led him to a dif­fer­ent con­clu­sion about the inter­pre­ta­tion of his­tor­i­cal texts. 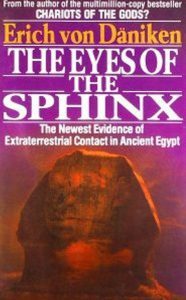 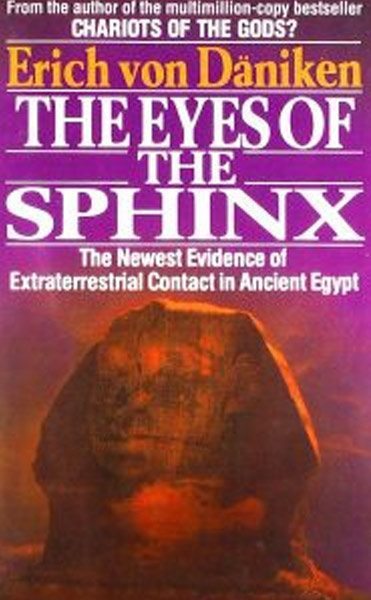 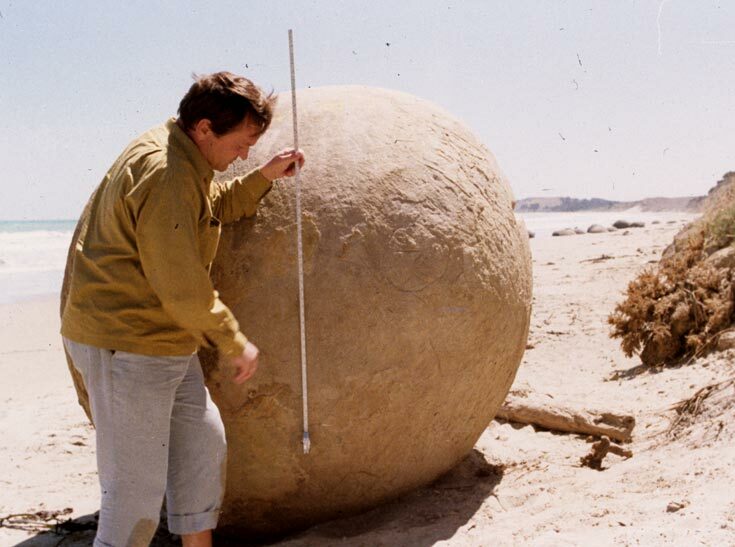 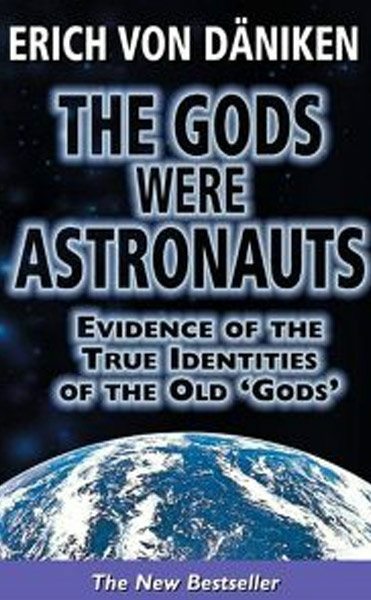 Was mankind vis­it­ed by aliens in the dis­tant past? 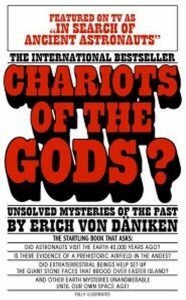 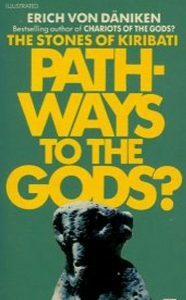 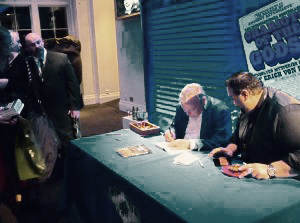 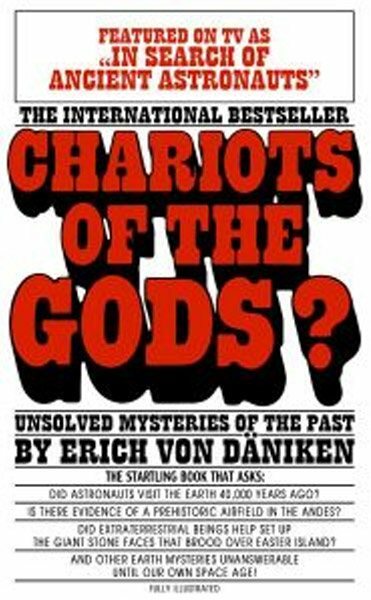 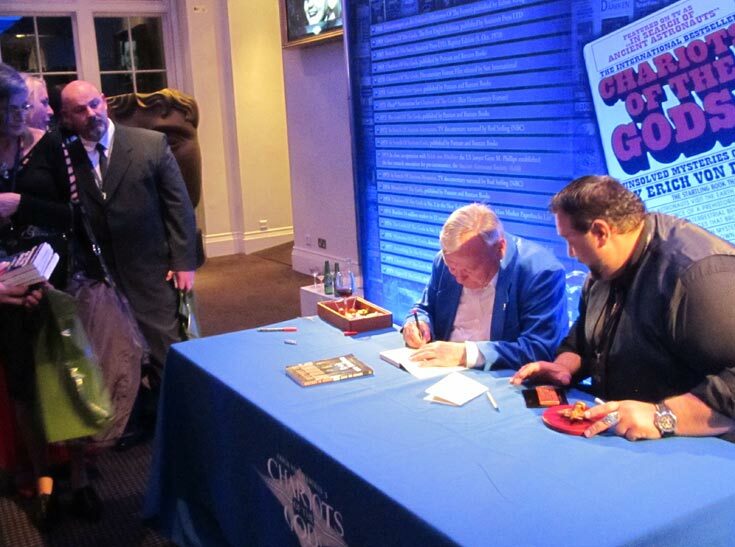 This endur­ing ques­tion became the foun­da­tion for his wide­ly renowned first work, Char­i­ots Of The Gods™. 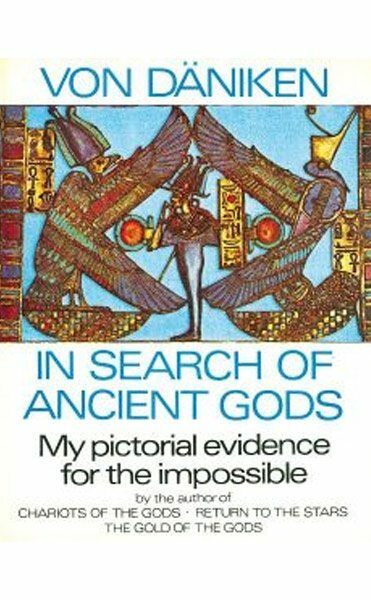 Pub­lished in 1968, the book was an unex­pect­ed run­away suc­cess and dom­i­nat­ed all the pres­ti­gious best-sell­er lists. 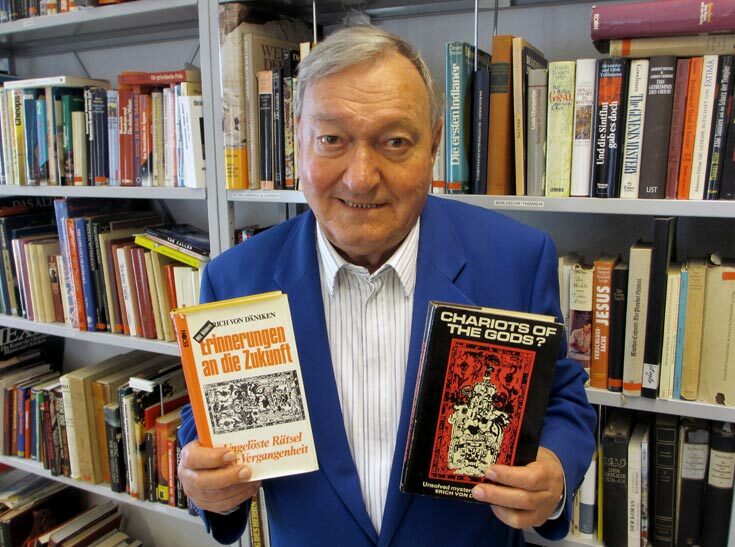 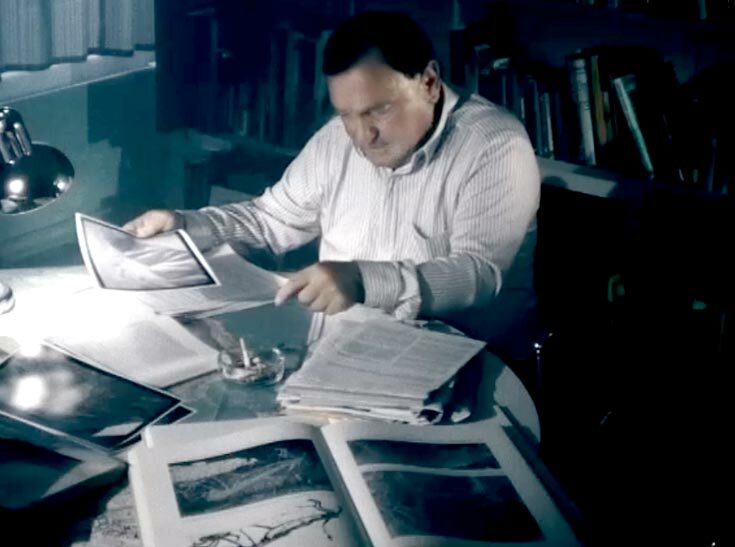 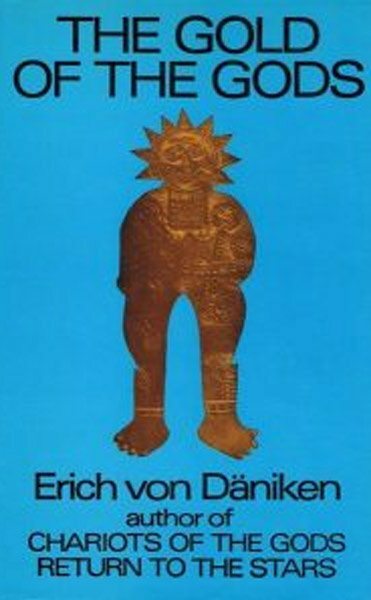 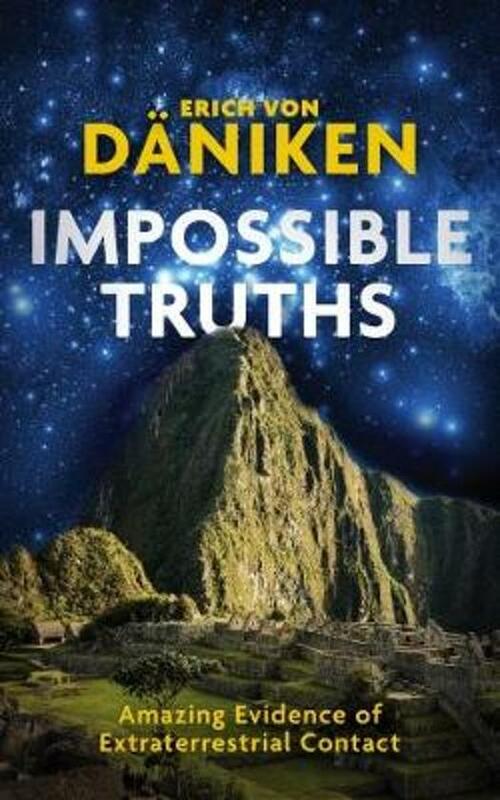 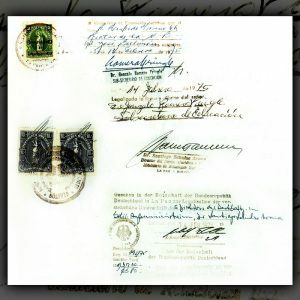 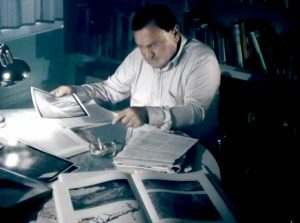 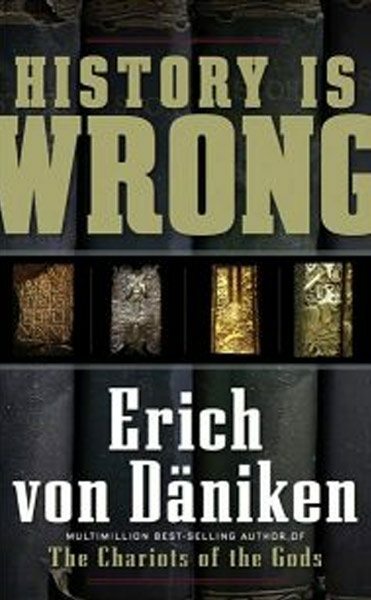 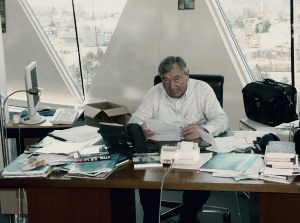 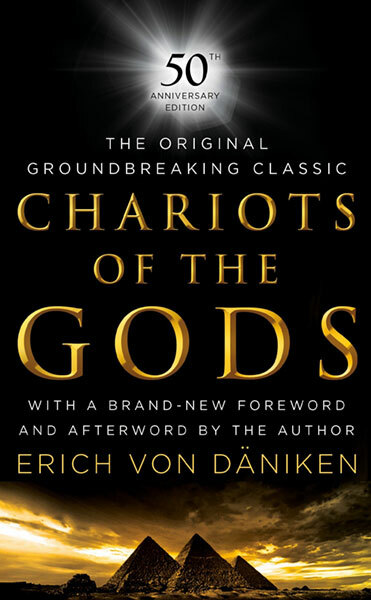 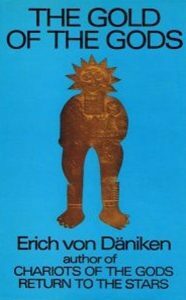 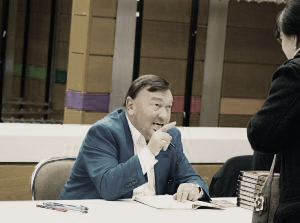 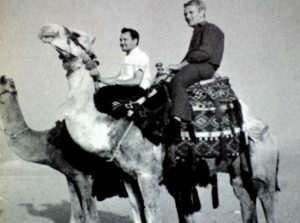 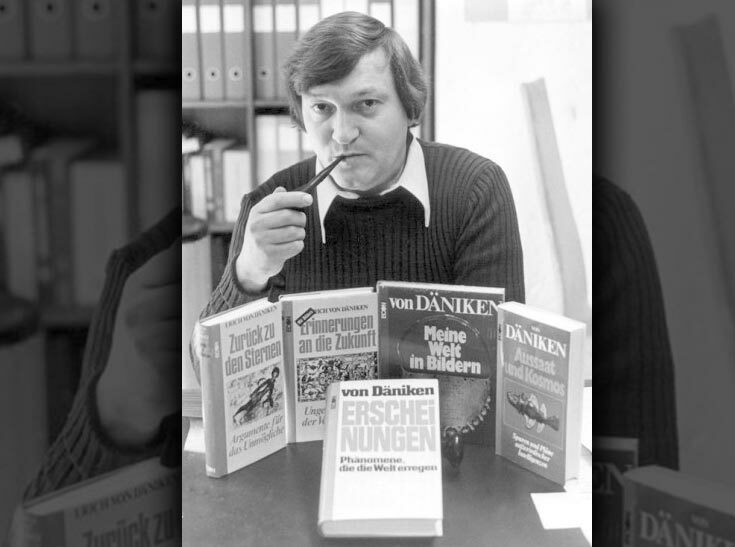 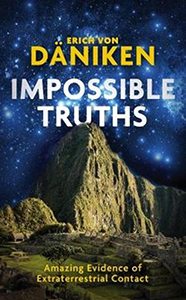 Erich von Däniken’s rep­u­ta­tion as a unique, provoca­tive author grew rapid­ly, not least due to the trans­la­tions of the book into 32 lan­guages and its pub­li­ca­tion in over 40 coun­tries. 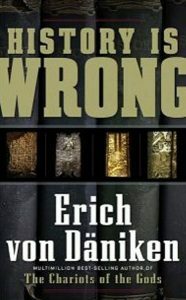 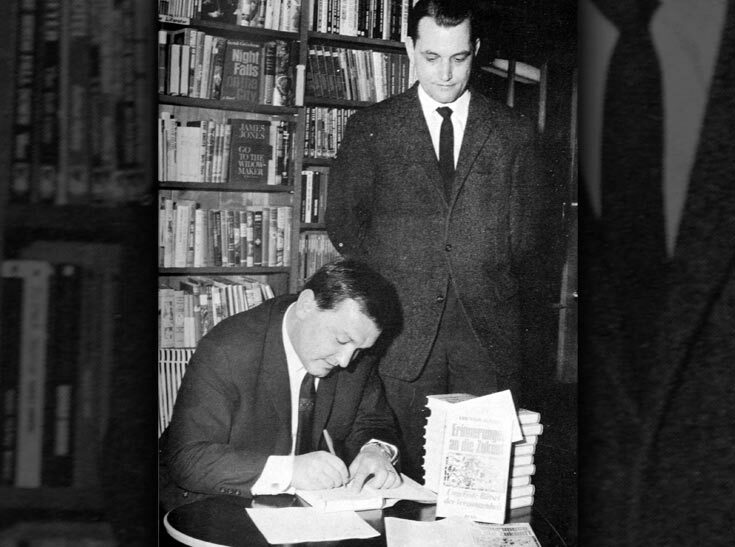 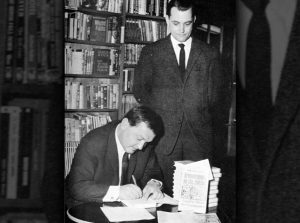 To date, 70 mil­lion copies of his books have been sold and Erich is wide­ly con­sid­ered one of the world’s most suc­cess­ful non-fic­tion authors. 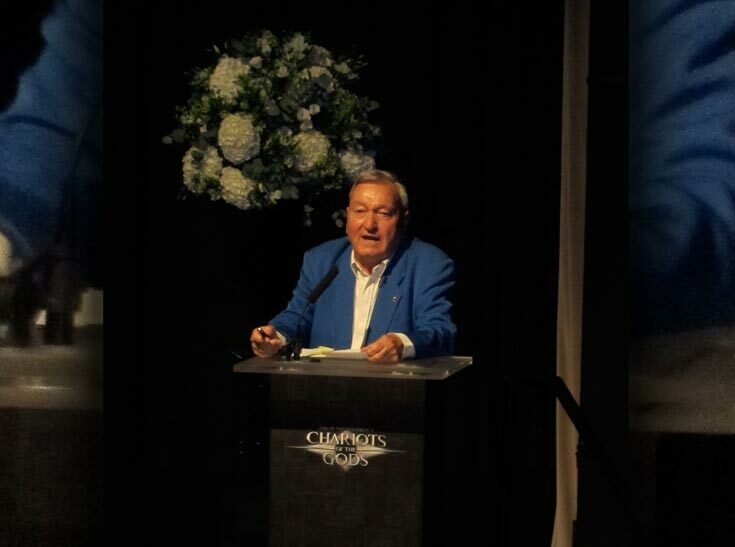 Watkins’ Spir­i­tu­al 100 List for 2018 recent­ly ranked him as one of the “most spir­i­tu­al­ly influ­en­tial liv­ing peo­ple”. 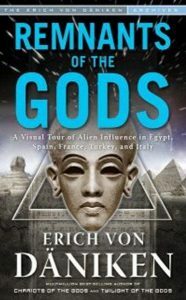 Inspired by his books, Erich has encour­aged mil­lions of peo­ple across the world to ask ques­tions about the plan­et they inhab­it, to chal­lenge con­ven­tion­al think­ing and to broad­en their per­spec­tives. 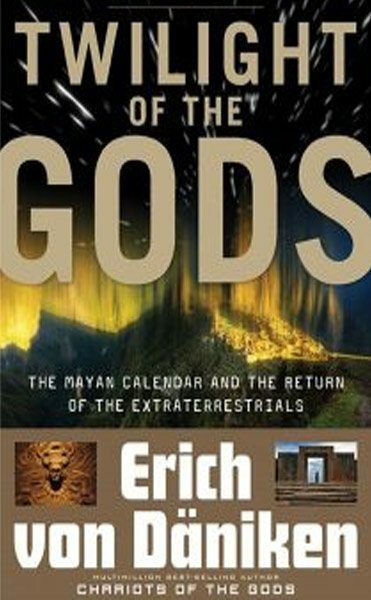 Erich has giv­en more than 3,000 lec­tures in 25 coun­tries in front of thou­sands of peo­ple. 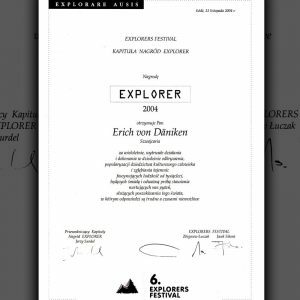 He is an active researcher and dri­ven explor­er, aver­ag­ing 100,000 miles each year to remote spots of the Earth in order to care­ful­ly exam­ine the phe­nom­e­na about which he writes. 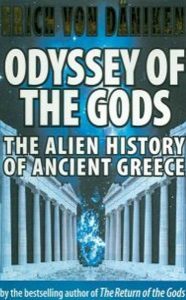 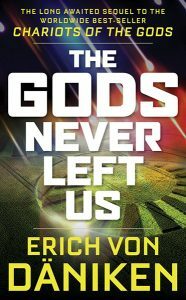 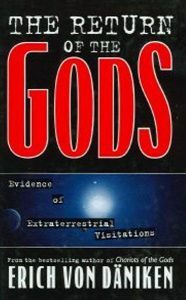 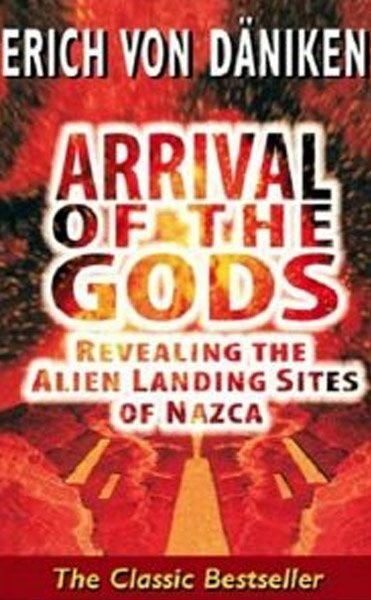 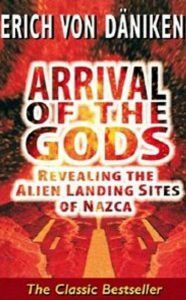 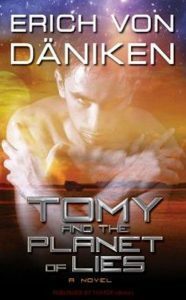 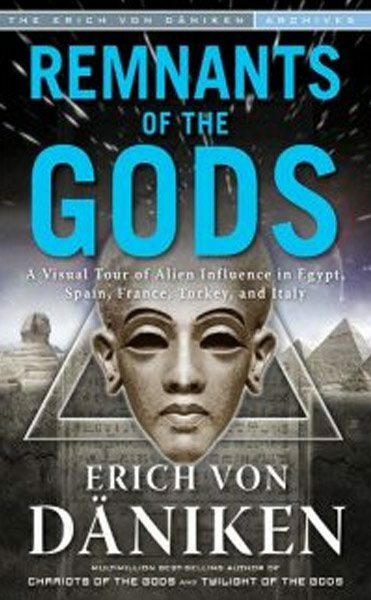 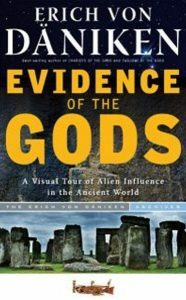 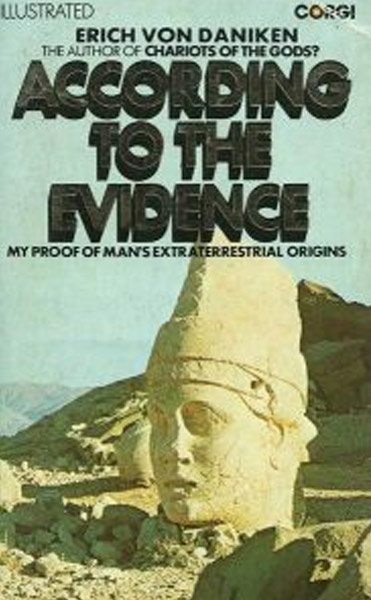 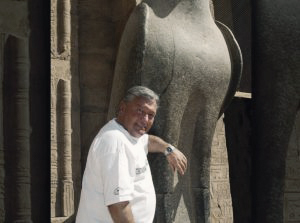 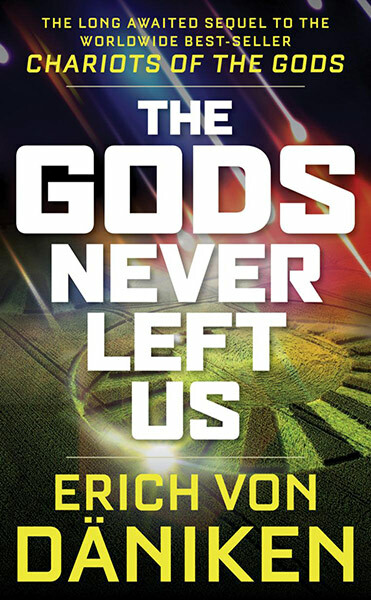 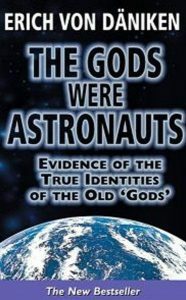 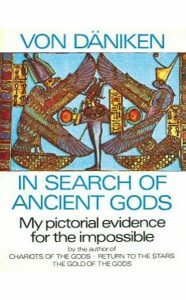 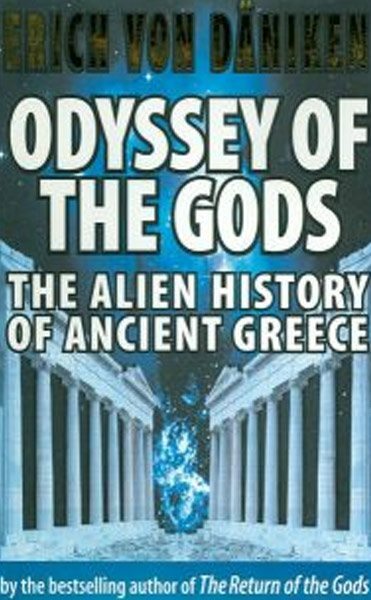 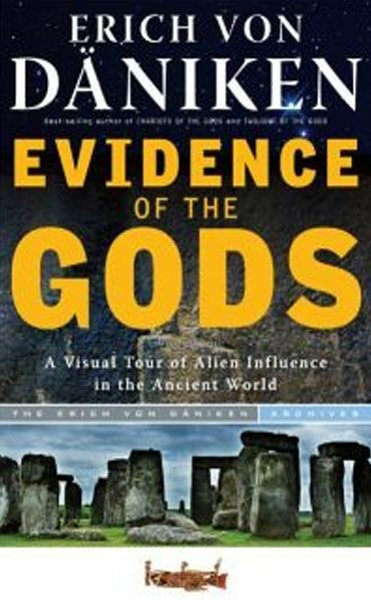 Four decades on and Erich is still a vora­cious writer, con­tin­u­ing to explore the the­o­ry that mankind and aliens crossed paths in the dis­tant past. 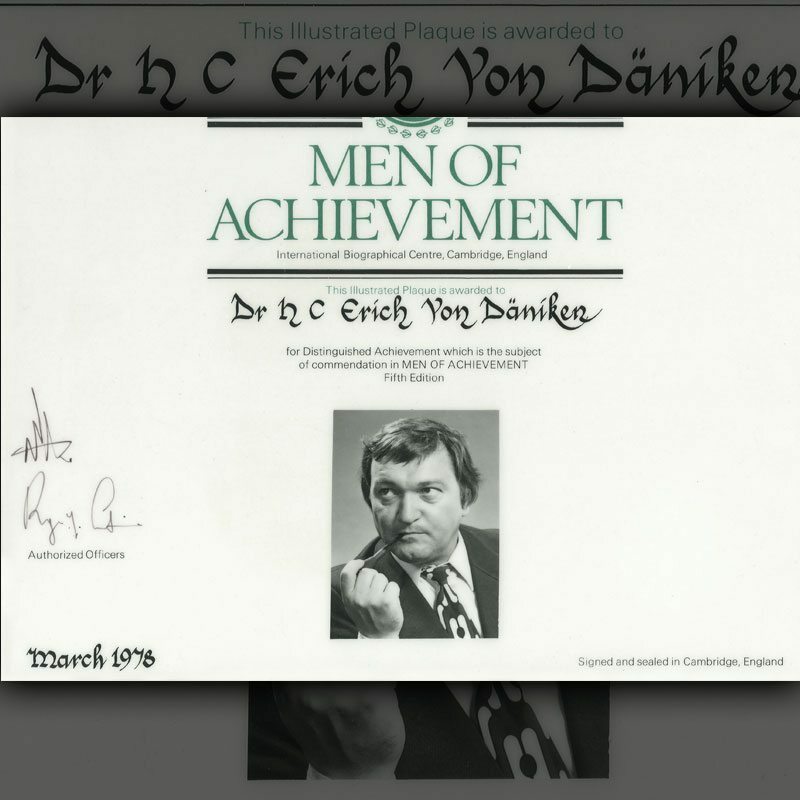 He has been award­ed many hon­ours over the years, includ­ing the Hon­orary Doc­tor­ate (Dr.h.c.) 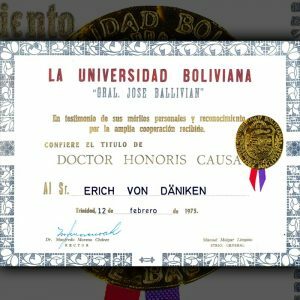 from the Uni­ver­si­ty of Bolivia. 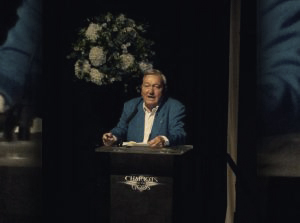 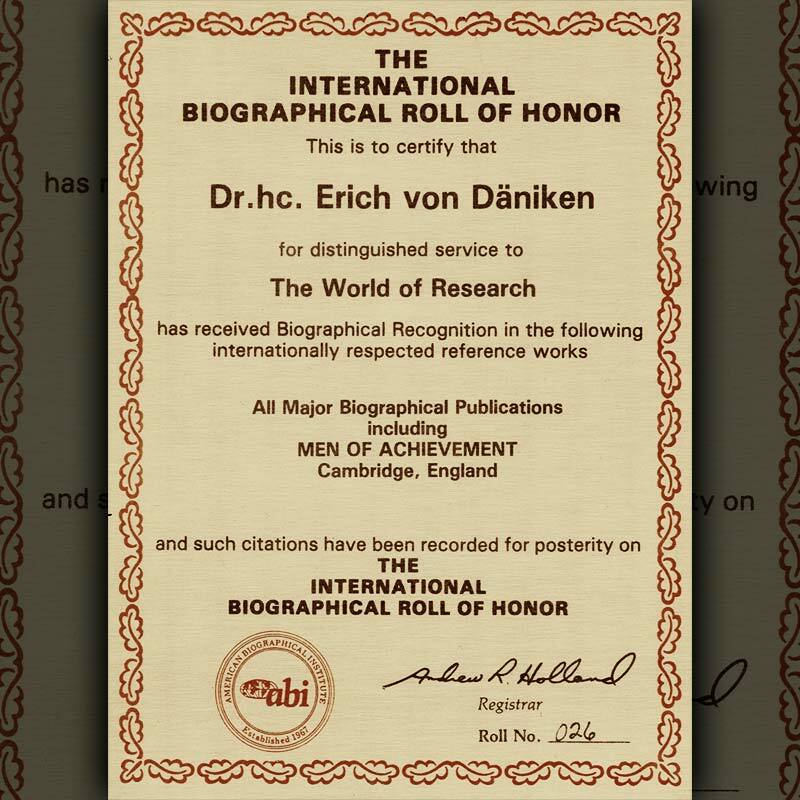 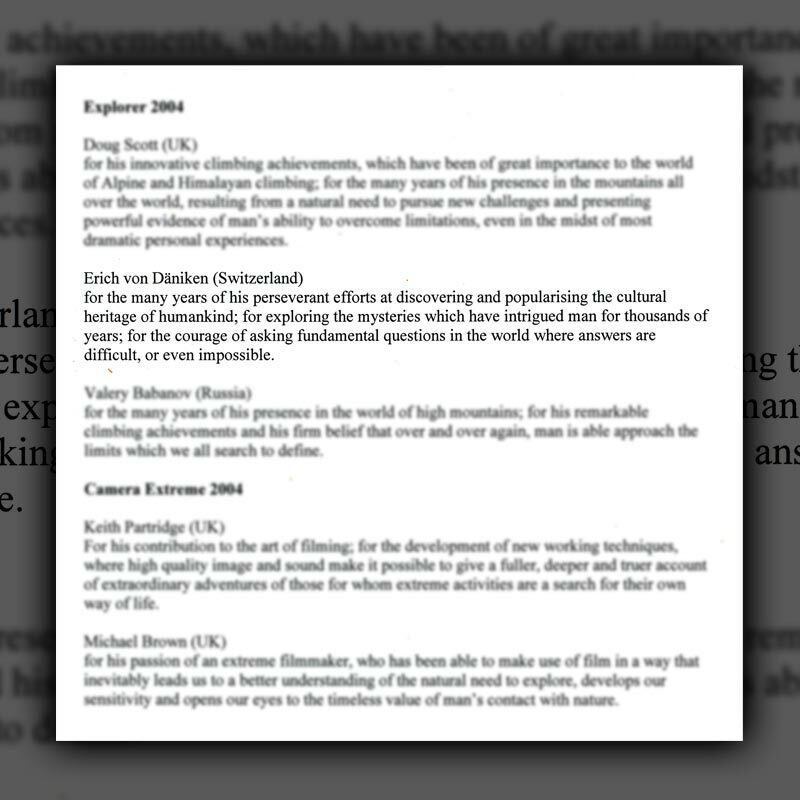 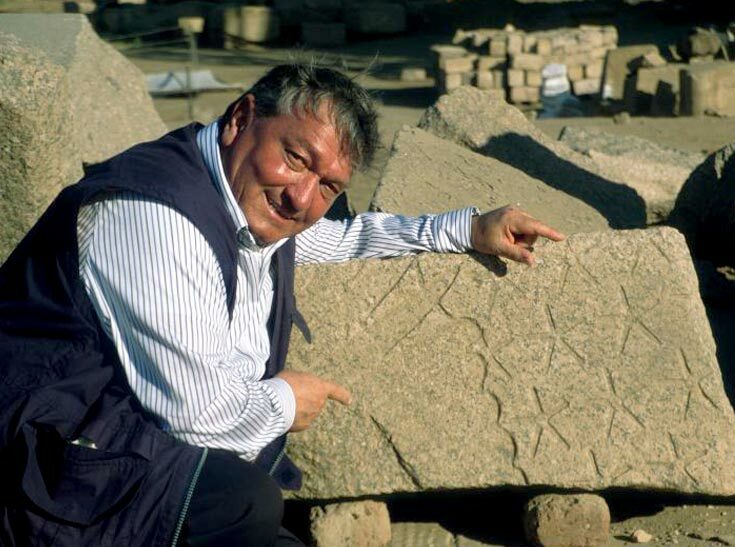 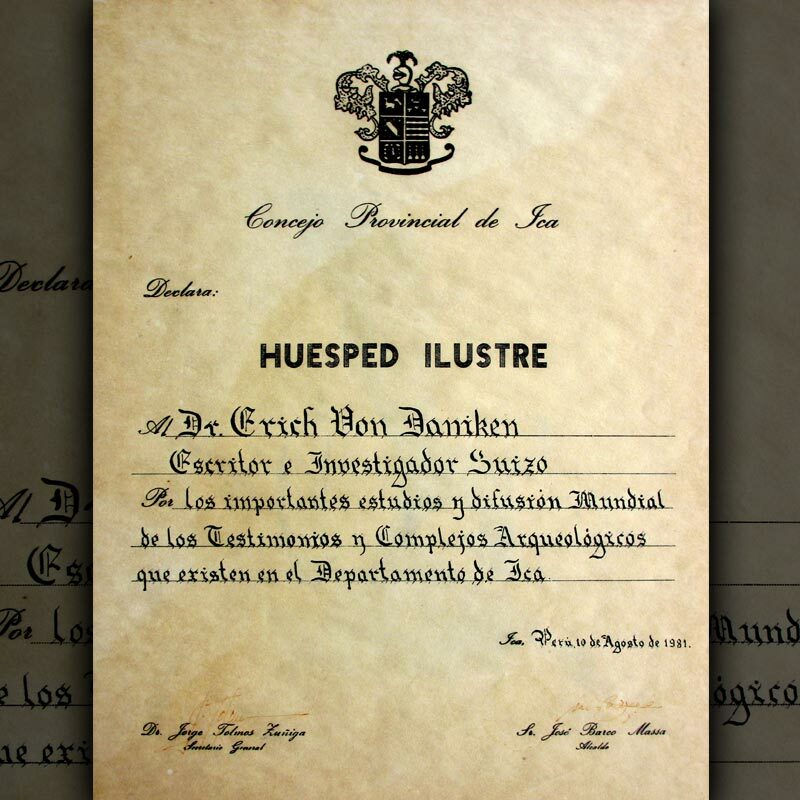 Through­out the years, Erich von Däniken has received many awards and hon­ours, like a doc­tor­ate (Dr.h.c.) 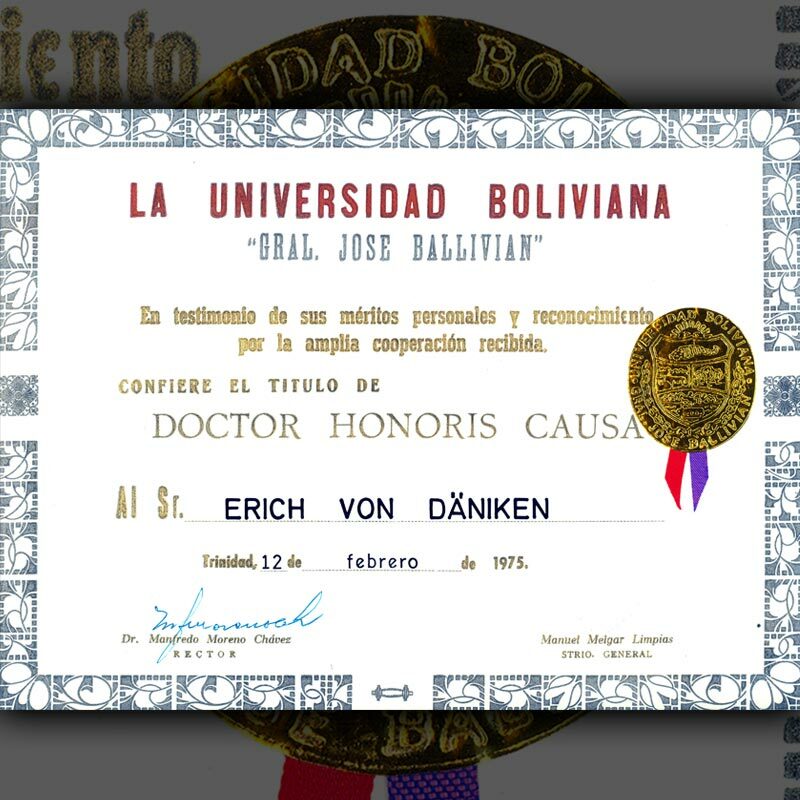 from the Uni­ver­si­ty of Bolivia. 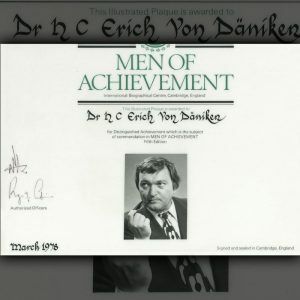 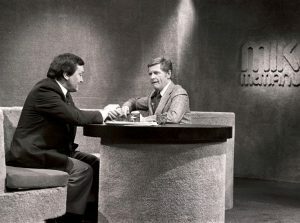 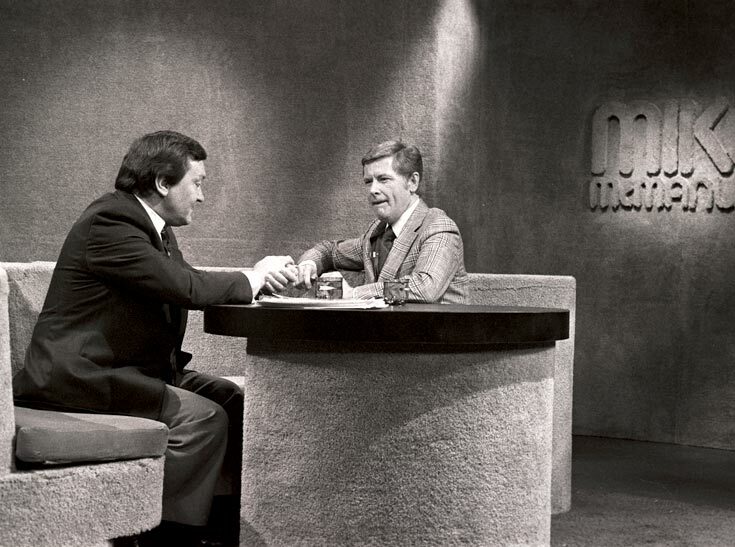 Erich received this hon­orary in 1975. 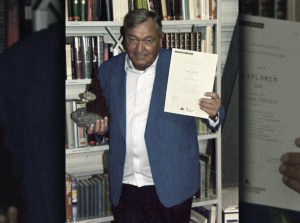 Fur­ther­more, he received a hon­orary cit­i­zen­ship from the city of Naz­ca. 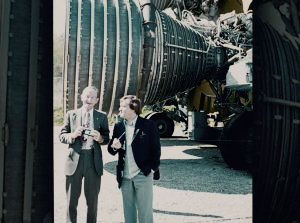 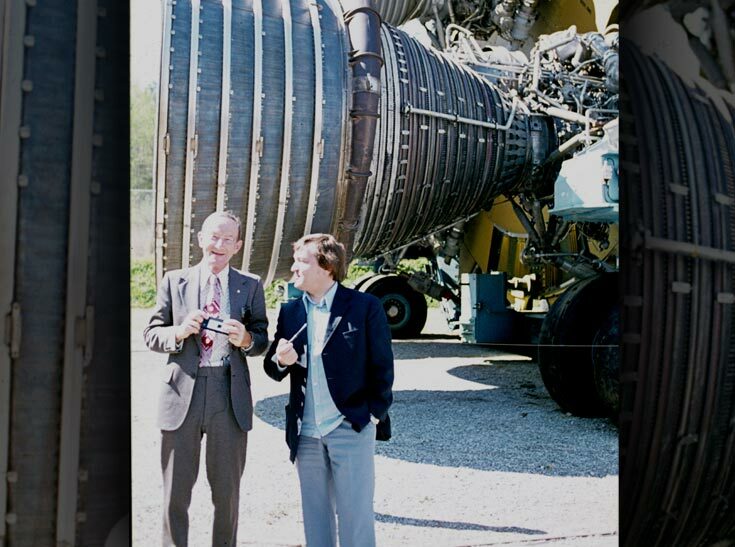 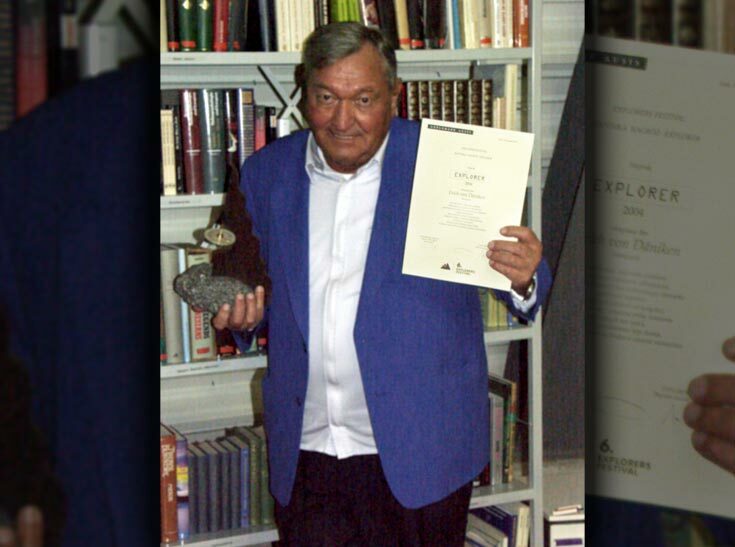 Togeth­er with Ger­man astro­naut Ulf Mer­bold, Erich became an hon­orary mem­ber of the Cor­don bleu du Saint-Esprit, dur­ing the fall of 1987. 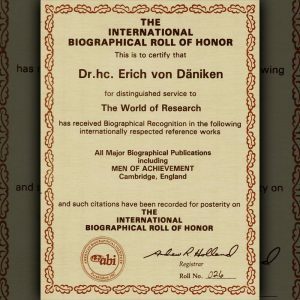 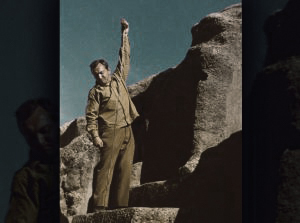 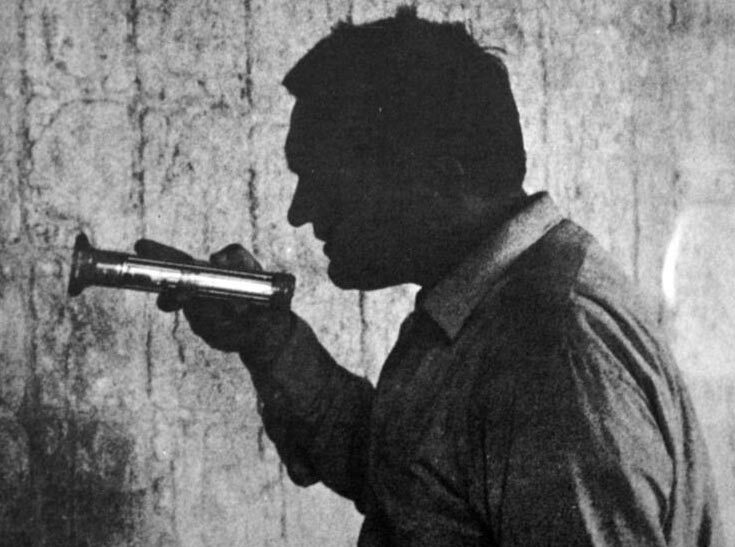 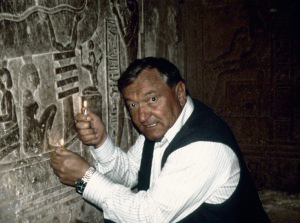 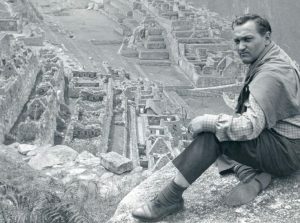 Dur­ing his career, Erich von Däniken received sev­er­al more hon­ours. 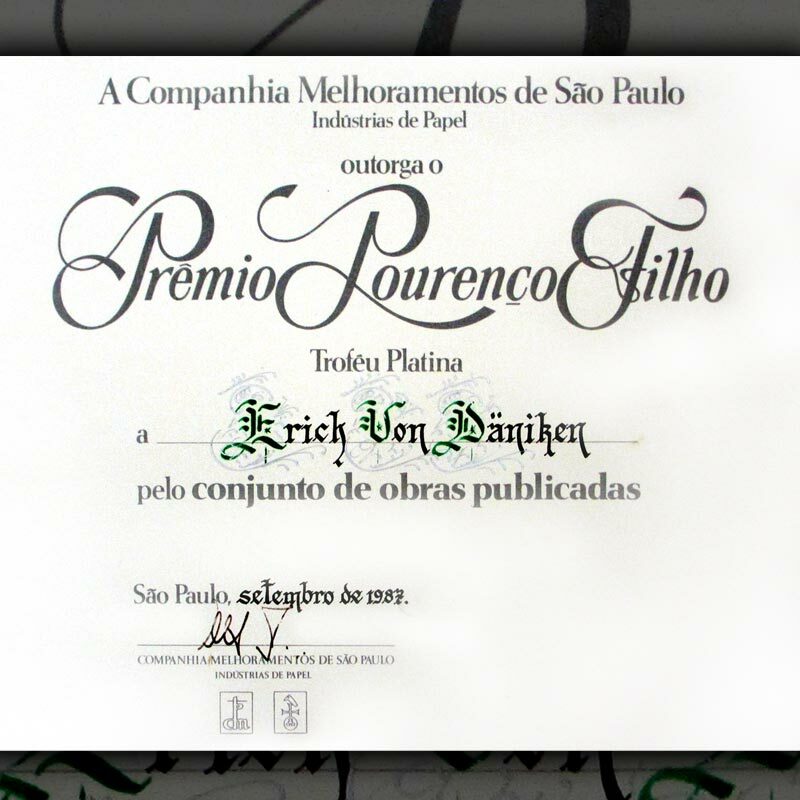 In Brazil, he received the Pre­mio Lourenço Fil­ho award in gold and plat­inum. Lourenço Fil­ho was a Brazil­ian edu­ca­tor and edu­ca­tion the­o­rist. Erich received the World Explor­er Prize, issued by the World Explorer’s Club, in 2004. 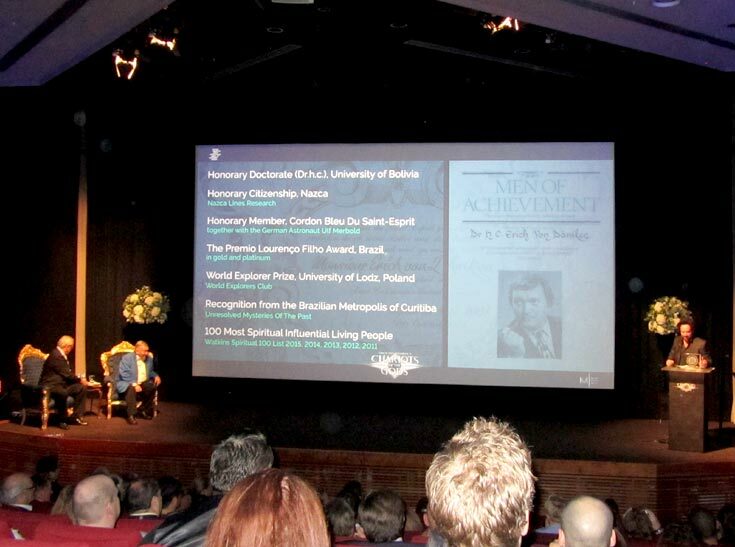 The cer­e­mo­ny was held at the Uni­ver­si­ty of Lodz in Poland. 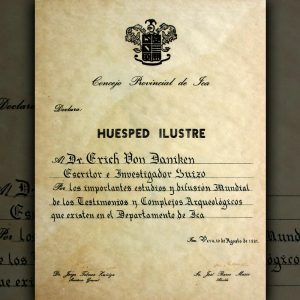 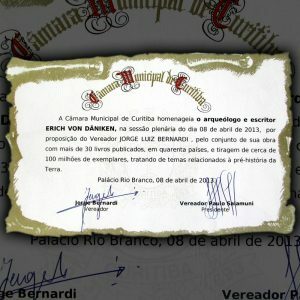 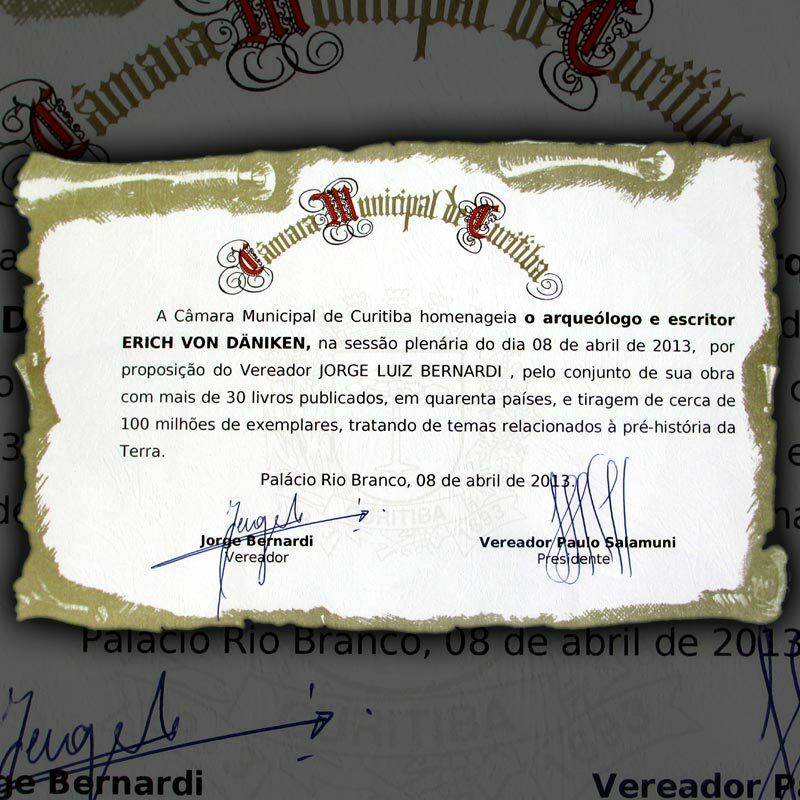 On the 8th of April in 2013, Erich was hon­oured by the Brazil­ian metrop­o­lis of Curiti­ba for his entire body of work on unsolved mys­ter­ies from the past. 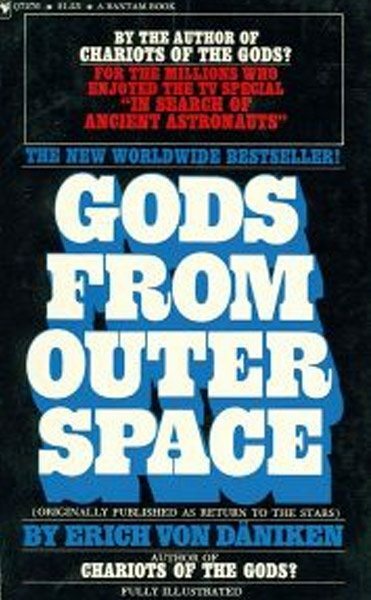 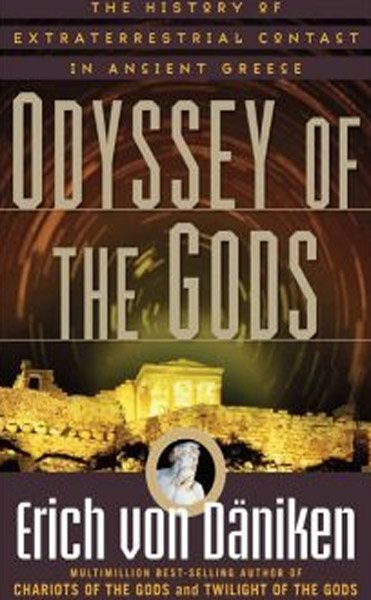 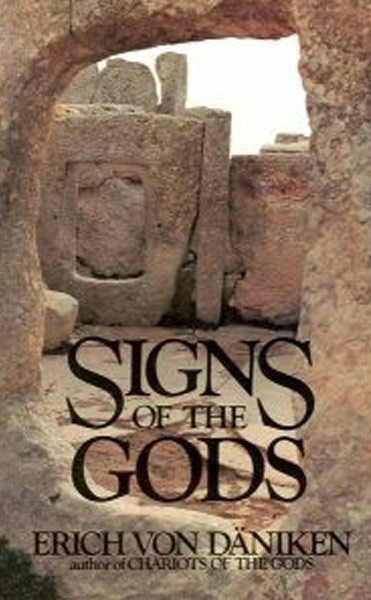 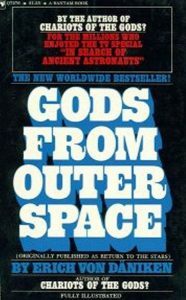 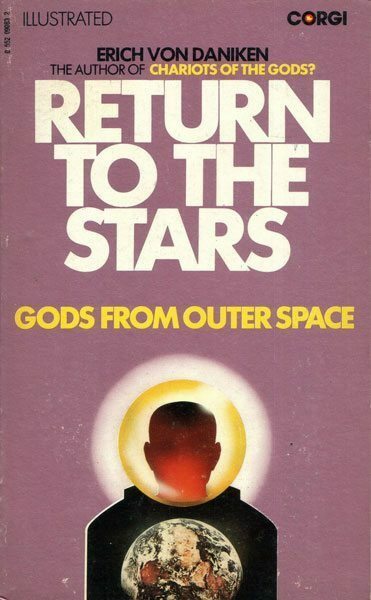 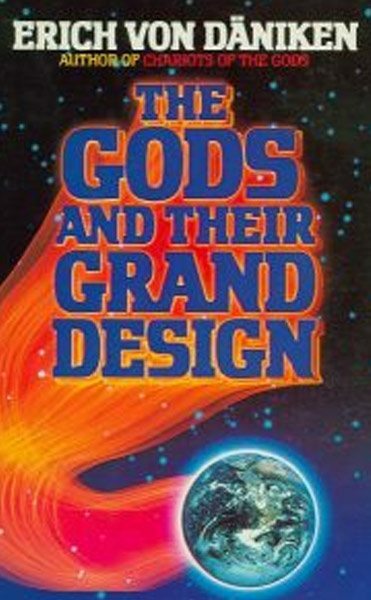 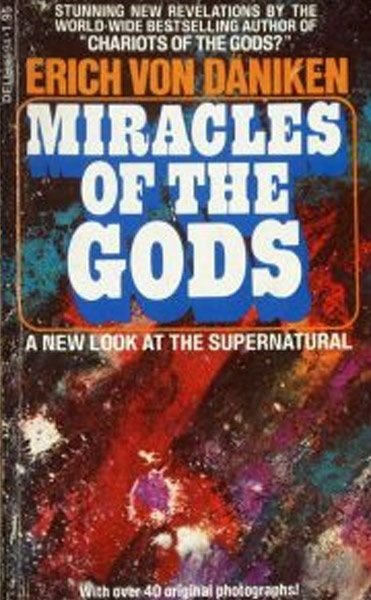 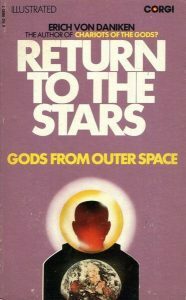 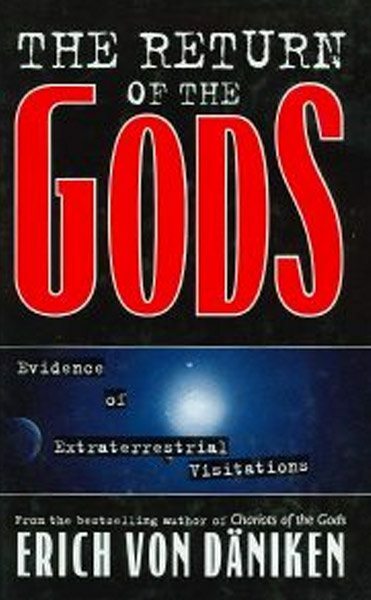 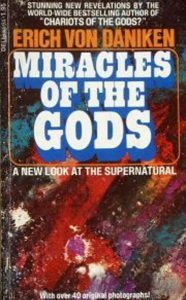 The hardcover edition of Gold Of The Gods, published by G.P. Putnam’s Sons entered its 3rd large printing within the first 17 days of its initial publication.